If you are looking for ultimate adventure superstore in Dubai, then beeline to Times Square Centre on Sheikh Zayed Road. 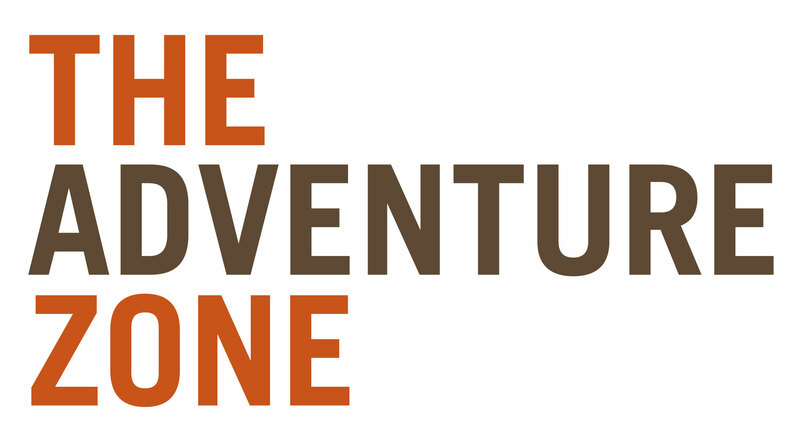 You’ll find first of its own kind adventure gear retailer and superstore called Adventure HQ. This amazing dedicated outdoor adventure store offers extensive variety of active lifestyle equipments that range from fishing to kayaking, camping to diving, cycling to hiking and much more. Besides this patrons can also have some adventure in this store while shopping, as there is cable climb and climbing pinnacle too that are designed to challenge adventurous skills. Plus there is a chill chamber in this store that is the coolest place in this desert city, designed to test gears for cooler conditions. On the other hand, those who just like to sit back and read magazines, watch latest action on big screen or tap into free wi-fi should head towards their Discovery Lounge. The Adventure Zone is an ultimate place for escapade enthusiasts, as here they will not only find wide variety of different adventure gears for both indoor and outdoor activities, but will also get to experience some thrilling activities such as cable climbing, climbing pinnacle and chill chamber. This superstore provides gears for actions sports such rock climbing, camping, cycling, fishing, water recreation, boating and diving. Plus they also have decent variety of active wears that includes clothing and footwear. So whether you are a first timer or accomplished adventurer or weekend enthusiasts at Adventure Zone there is something for everyone. You can also enjoy their few free services at this site such as wi-fi, reading magazines and watching movies on big screen in a separate area called Discovery Lounge. Opening hours of this adventure zone are from 10:00 am to 10:00 pm between Saturday and Wednesday, while from Thursday to Friday it remains open from 10:00 am till midnight. Times Square Center, Ground Floor, 6A Street, Sheikh Zayed Road, Dubai, United Arab Emirates. 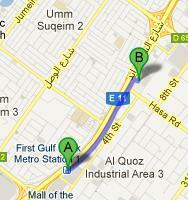 First Gulf Bank Metro Station 1 is 25 minutes walk and 2.1 kilometres journey from The Adventure Zone in Time Square Centre. To get to this adventure site, patrons need to head in the northeast course from this metro station and then turn right onto 4 B Street in order to find the destination on the right side just a few meters ahead. Head northwest on Hasa Road towards 4 B Street after leaving this bus stop and then turn right onto 4 B Street, where destination is located on the right side.